Here in Northern California, we have many crisp summer nights. As perfect as the weather is almost every single day, sometimes it gets pretty chilly at night. In my house, crisp summer nights are one marker that it’s summer. The other one is when I start making fresh fruit crisps all the time. 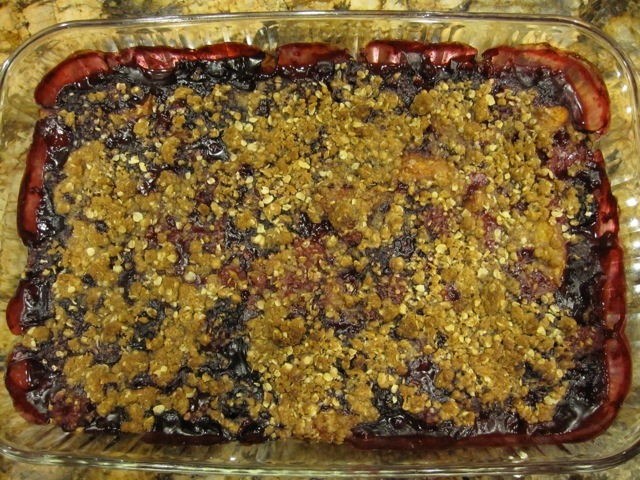 Nectarine and berry crisp right out of the oven. Fruit crisps covered in a crunchy oatmeal brown sugar topping are really hard to resist for a mediocre pastry-maker like me. You enjoy the yummy flavor of fresh fruit pie filling covered in slightly melted vanilla ice cream with none of the stress of making pie dough. 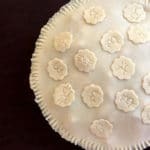 I know for some, making pie dough is relaxing (see a recent post by a fellow blogger Irene Saiger who writes Bamitbach) but for me, making dough is stressful because I’m not good at it (yet). Crisp topping, on the other hand, is easy to assemble, can be made in large batches and kept on hand for your next over-zealous purchase of yummy summer fruit. Crisps are also ideal for the last minute summer gathering that needs a presentable dessert that won’t keep you slaving in the kitchen. My go-to recipe for crisp topping is from Deborah Madison’s cookbook Vegetarian Cooking for Everyone. 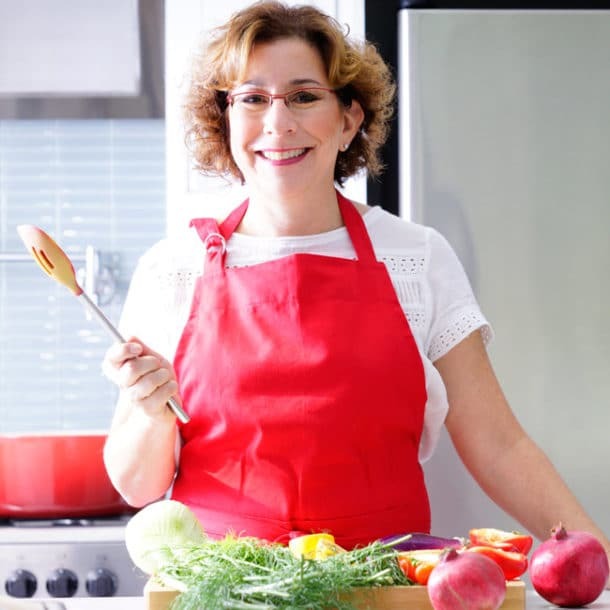 Ok – for those that know me personally – and just fell off their chair because I have a vegetarian cookbook, get up off the floor and sit back down and finish reading this great post. Her cookbook is a must for anyone’s collection. I’ve barely scratched the surface of it but have found the dessert recipes worthy of ownership all by themselves, let alone the awesome side dish, pasta, and pizza recipes. 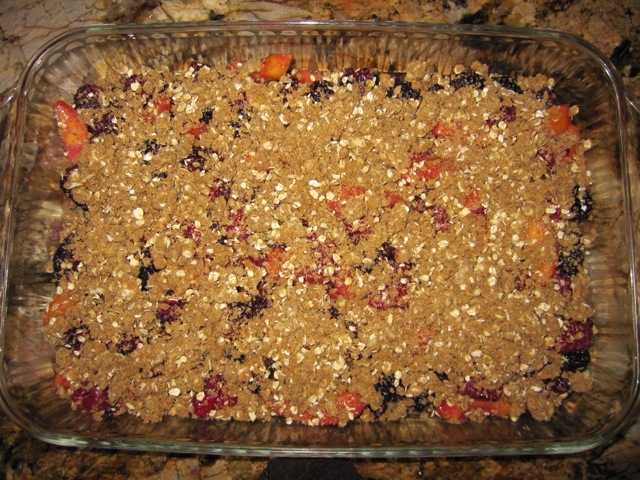 The topping recipe works on any combination of fruit. Using your fingers or the paddle attachment of a mixer, work the butter with the rest of the ingredients so that each piece is coated and you have a coarse, crumbly mixture. Use it to cover a shallow gratin dish of sliced fruit. In my opinion, the nutmeg is optional and the cinnamon is a must. Also, you can easily double or triple this recipe and keep the extra in the fridge or freezer for your next crisp. You can also use the topping for muffins or quick breads as an added touch on top. I also don’t dirty up a mixer. Just put it all in a bowl, put on two kitchen disposable latex gloves and mix it all together until the butter combines with the other ingredients and you get little pebble-shaped pieces. As for the fruit – there are so many choices. 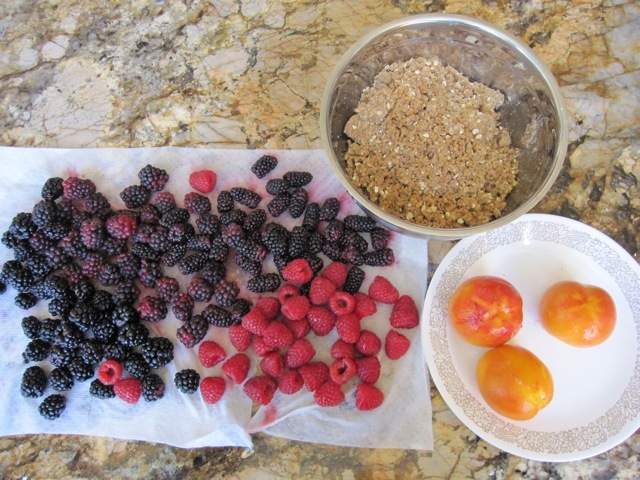 Yesterday, I combined some nectarines and blackberries and raspberries. To the fruit, you generally add sugar and flour and toss. If the fruit is sweet, you can reduce the sugar. Deborah Madison suggests adding 1/2 cup sugar and 3 tblsp. flour to 2 pounds of peaches and 2 cups of berries. You can experiment with this part. A little more fruit, a little less sugar, a little less flour. It won’t matter that much. Some recipes will call for a little lemon juice or some orange zest. You can get creative with the fruit part. Like the flavor of almond? Used some nuts in the crisp topping? Add some almond extract. Deborah suggests many variations of fruit with minor variations in the ingredients but the basic filling uses some sugar and a little bit of flour for thickening – you can add your own creative touches if you like. By the way, if you use nectarines or peaches, you should remove the skin. It really was easy – make an X at the bottom then submerge for 10 seconds in boiling water. Let it cool briefly and pull the skin off. Once the fruit is prepared, put it in either a square or rectangular glass baking dish or a gratin dish – just depends on how much fruit you have and how thick you want to make it. Spread the crisp topping over it and bake for about 45 minutes at 375 degrees or 350 convection for 35 or 40 minutes. In my house, everyone likes the crisps I make but they are a particular favorite of my daughter’s. She had three girlfriends over last night and at least two of them said it was the best thing they’ve ever tasted (I’ll know my blog is doing well when they say without hesitation – this is OMG! Yummy). They couldn’t get seconds fast enough and literally, they were using their spoons and fingers to get every last drop out of the baking dish. I’d say that qualifies for an OMG! Yummy. 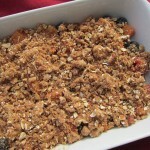 This fruit crisp recipe is a starting point for your own creation – use this as a guideline but feel free to experiment with any of the ingredients in type or amount -- sweeteners, the spices, oats/nuts, the fruit etc. Using your fingers or the paddle attachment of a mixer to work the butter with the rest of the ingredients so that each piece is coated and you have a coarse, crumbly mixture. Personally, I don’t dirty up a mixer. I just put it all in a bowl, put on two kitchen disposable latex gloves and mix it all together until the butter combines with the other ingredients and you get little pebble-shaped pieces. Whatever topping you don’t use can be stored in the fridge or freezer for later use. 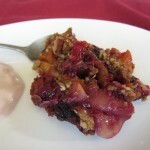 In my original post in 2010, I said you needed to peel nectarines or peaches if you use them. That is ok to do, but in my opinion, not at all necessary. I no longer peel peaches or nectarines or apricots if I use them in a crisp. Preheat oven to 375 degrees. Put all filling ingredients directly into the 8X8 pan or 9X13 (I save myself a bowl to wash by mixing it all in the pan). Then top with the oat mixture. Bake at 375 degrees for 30 – 40 minutes. Depending on the fruit you use, the time can vary a bit – I always check at 30 minutes. When the filling is bubbling vigorously, it is ready. Take it out and let it cool a bit before serving. We always enjoy it with vanilla ice cream melting over the top. Whipped cream is excellent as well. Or just eat it as it is – it is like a bite of summer for dessert. This makes enough topping for one 8X8 crisp but I like to at least double this recipe, even triple or quadruple and have enough topping for another crisp or two. This recipe sounds delicious! 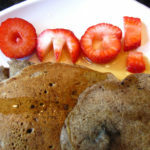 I have recently started blogging and I love the way you write about food. I will definitely be back 🙂 Thank you! Oh, I’m so ready to make a crisp, but haven’t this whole summer!! Gotta do it! Do it Jeanne – make a crisp. It’s so easy and fun and fruit is so great right now. 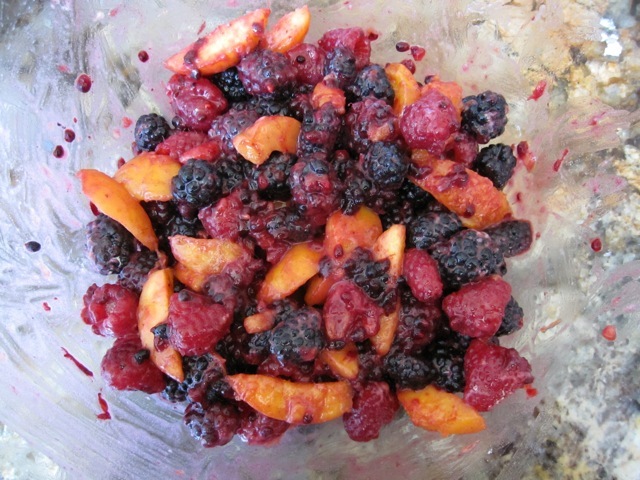 Nectarines combined with blackberries and raspberries is awesome. But so many combinations work well. Enjoy and have fun making it and eating it. 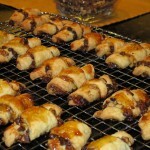 Your crisp looks great, I love them myself, will try this one out, a nice easy dessert to make mid-week. Wow! That sounds so yummy. I can almost SMELL it. This is the kind of recipe I like. Easy to create. Wonderful comfort food. Thanks for stopping by my blog, and for sharing yours with me! I just added it to my Google Reader, can’t wait to get some new recipes to try! 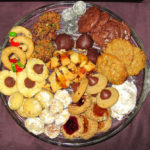 delicious!I cant wait to try your crisp topping.I saw your blog from the foodie blog roll and I love what you have here.If you won’t mind I’d love to guide Foodista readers to this post.Just add the foodista widget to the end of this post and it’s all set, Thanks! Wow…look at all these great recipes! Yum. Wanted to thank you for stopping by and leaving such a thoughtful comment re vaccines. Thanks so much for the mention. I hope to do the same as soon as I try one of yours. I love crisps too. My colleague just told me that she makes a batch of “crisp” topping and keeps it in the fridge. When she wants a small crisp, she cuts some fruit into a ramekin and uses some of the topping. Thought it was a great idea. Stopping from SITS! This looks wonderful and easy to make. Easy is right my alley. What a beautiful post and blog. The photos of the food are wonderful. I found you through another recipe blog.